I wanted to take some time today to discuss in-ear monitoring. Our church uses the Aviom personal monitor mixing system. We are a bit limited with this system if we intend to grow the numbers in our ministry (which we do). We have four mixer stations as well as the input module. Our system is for sale if you'd like to make us an offer. We would like to invest the money into a different solution that might better meet our needs. I spent some time with our producer to re-configure the system so that the four instrumentalists would have a monitor mixer and the singers would have a floor wedge fed from the house board. We had to run some cabling under the stage and re-plug all the inputs and inserts to feed the Aviom A/D converter. 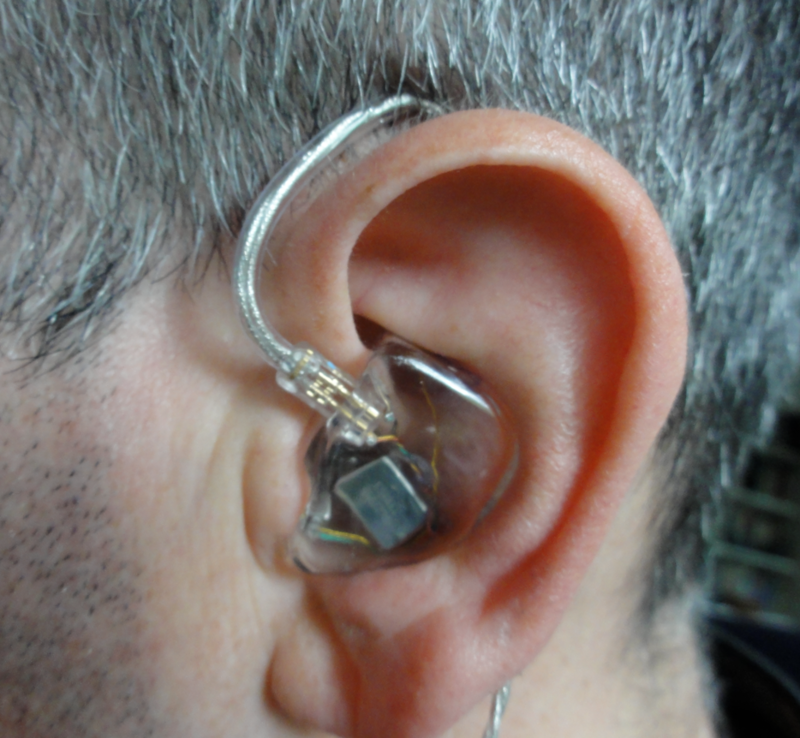 I listed below some of the pros and cons of an in-ear system. I have used Avioms before, so I was able to anticipate the cons and build in some workarounds. Fewer distractions from the room. I love my church. It really feels like a family get-together when we come together for worship on Sunday. We have all ages worshiping together. We love it that way, but hungry babies and restless toddlers can be a bit distracting. Having my monitors in my ears helps to filter out the additional sounds. Ability to use click tracks and gel together better musically. We have not done this yet, but I am looking forward to it. I believe that our use of click tracks will have several benefits. Most obviously, we will be able to keep a constant tempo. Doing so will allow us to implement the use of loops and other creative elements in our services. Another thing I've found is that when there is no tempo reference, each band member feels like they need to control the tempo. This leads to overplaying. I believe that a solid tempo reference will help us to play together better as a band. A little too direct and dry. Put your fingers in your ears and say, "La, la, la," really loudly. Make sure you're alone when you do this. Anyway, when you do, you'll know what I'm talking about. When you plug your ears, your head works like a resonance chamber with no way for the sound to escape. Also, all the signals from the instruments and vocals come directly in contact with your ear drums without any influence from the room acoustics. This can be a bit off-putting. Can't hear the people singing. I don't lead worship. I lead people in worship. To do this well, I need to hear people. When I'm isolated from external sound, I feel disconnected from the congregation. This is a serious drawback that has led me, in the past, to use floor wedges or just monitor the ambiance of the room. Muddy in-ear mix. Without a separate monitor EQ, having all the channels coming at you can make for a muddy mix (build-up of lower mid-range frequencies). Tricky for vocalists to sing on-pitch. When building a reference mix for headphones or earphones, it can be tricky to get the right mix in order to hear yourself and sing in tune. Too much of your vocal and and you'll tend to sing flat. Too little and you'll push too hard and sing sharp. Also too much bass (frequency range) in your mix makes it difficult to discern pitch. Panning - using a personal in-ear mixer like the Aviom, it is possible to pan each channel to sound more like a stereo mix. For my personal taste, I position my lead vocal and guitar in the center of the mix along with the bass. The signals from our electronic drumset are panned left and right. I pan the other instruments and vocals as they are arranged on our stage. Room mic as channel or aux send - I set up a condenser microphone at the back of our stage pointed at the congregation. This ambient mic is one of our channels on the Aviom, but it is not fed into the house. Reverb as channel or aux send - We route all of our channels to an effects processor. In addition to the EFX return being fed into the house mains, we have a return that is routed to channel 16 of our Aviom. Mixing in just a little bit of reverb gives our in-ear mixes a sense of space. EQ - If you're able (as with the master treble/bass pots on the Aviom), roll off (turn down) the bass frequencies. Also, if you don't need to hear every member of the band, I recommend only including the instruments and vocals that you really need to make good musical decisions. In general, that includes a rhythmic reference (drums) and a treble pitch reference (guitars/keys). I hope this is helpful. If you have any questions or want to talk about the Aviom, leave a message in the comments. Great Read! This is super helpful. Thank You for putting this out there. I recently became lead guitarist and vocals at a small church. I am so new to this and the band I play with is raw so we have much to learn from one another. The sound has been the biggest challenge. So again thanks for your input.